Today, I’m talking to Lainey Feingold. Lainey is a disability rights lawyer with an extraordinary record of landmark cases. 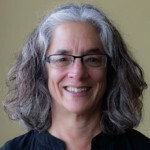 She’s also a California Lawyer of the Year for 2014, and recognition of her work that includes settlements with companies like Walmart, Bank of America, Weight Watchers, Major League Baseball, and the Safeway grocery chain, all of which have made their sites more accessible for people with disabilities. Hi, Lainey. Thanks so much for joining us. Lainey Feingold: Hi, Whitney. Thanks for asking me. Whitney: I love your work so much. I’ve heard summaries of the kind of work you do focusing on the settlements that you’ve reached, but it seems to me that a lot of the UX work we do includes what I might call internal advocacy that is when we’re working to convince other people on our teams or in our companies, that a new design idea will work. We always seem to be looking for better ways to make the case. Before I met you, I always thought lawyers meant lawsuits, but you’re doing something quite different, using structured negotiation as an alternative. Can you start by telling us what structured negotiations are? Maybe a quick example of how it works? Lainey: Sure. Structured negotiation refers to a way to resolve legal claims without litigation. Most of your listeners are probably familiar with lawsuits or mediation or arbitration. Those all involve third parties helping the people at the dispute make a decision or come to a conclusion. Structured negotiation is a way to resolve claims working directly with all the stakeholders. The way it works is we get a call from most often a blind person that’s usually our client base, but the method would work for other claims as well. We get a call and, say, we recently did a settlement with Weight Watchers. The person was a blind woman who’s a Weight Watchers member and she wasn’t able to access the tools on the Weight Watchers site. They have an amazing set of digital tools to help people lose weight. She wasn’t able to reach the right people in the company to make it work. She called the lawyer and we did a little research and found that this was really a health issue that impacted a lot of people in the community. We wrote to Weight Watchers. We said, “This is a claim. You really need to make your website accessible for people with disabilities, usable by people with disabilities. Rather than file a lawsuit, let’s sit down and see if we can make it work, talking with each other.” That’s how we do it. Whitney: Do people respond to that? Why would a company be willing to work with you? Lainey: Whitney, that is a very good question. At the beginning, I first started doing a lot in this way 20 years ago. We had been approached by a blind lawyer who was an expert in tax issues and finance issues. He had written a book, yet he couldn’t use a basic technology to finance industry, which was, and still is, the ATM. We got this situation. Blind people can’t use ATMs, but the ADA was new. There were no accessible ATMs in the United States. We thought, “Maybe we should a couple of banks and see if we can work with them on a solution.” It worked. I used to think it was luck, but now, I’ve been doing it for 20 years. We have some of the biggest institutions in the United States. Whitney: You said something at the beginning about how instead of having a third party making the decisions, you got to work directly together. Does that mean that everybody gets to sit around the table together and work? Because I’ve been an expert on some legal advocacy work, and it was really frustrating that I wasn’t allowed to be in the room. Lainey: It’s funny you mentioned that, because I think the way that structured negotiation brings expertise to the table is one of its strongest qualities. Too often in legal claims, the basic idea of litigation is people are opposed to each other. There’s one side and the other side. Both sides usually need expertise. Each side has to hire their own expert and that expert has a very defined role when they can speak, what they can write, what are the circumstances when they communicate their expertise. In structured negotiations, we really try to always think of it as a round table. For web consultants, for example, we really think it’s important for a company to feel comfortable with the consultant that they hire, because every corporate culture is different. There are a lot of great consultants out there, but they wouldn’t all work well with every company. Whitney: You’re not just coming to a decision about how to solve a problem. You’re actually helping them get the skills they need, the experts they need to help them solve that problem? Lainey: With the ATMs, when we started, there were no talking ATMs in the United States. The blind team, a spokesperson really helped the companies understand what makes something usable for a blind person. The developers and the technology people were thrilled to have that input. That’s been my experience throughout. The people who are doing the work, they want the web to be available for everyone. They want the ATMs to work. Having, especially the usability side of it from the blind users was completely critical. With the websites, we use WCAG 2.0 Level AA as a standard. We know, going in, that that is what we think the companies need to do. There are many situations where we can have WCAG 2.0 AA compliance, but you still need the user feedback. We did negotiations with the major credit reporting companies in the United States to make sure that blind people could get their credit reports in accessible formats. They had a very unique catch at the time. Whitney: That’s really great. It’s a little like participatory design where we go from where designers and we know what you can do to where usability experts and we’ve worked with enough users to be able to represent them to actually letting the users be part of the process. Lainey: Yes, as much as possible. That just seem so many “Aha!” moments or light bulbs going off when the developers, the designers, the content writers actually get to meet the consumers who are using their site in different ways. They said, “What you said is great, but we’re learning even more by being able to see it directly.” I thought that was a big moment for me in my work, thinking about how we bring people together. It sounds like you’re both trying to solve a problem but also creating relationships. Maybe not with those individuals forever but between a development team and a company and the people they work for. Lainey: Relationship building is really a critical part of it. In some ways, you could say, “It’s not really fair for any one blind person or one deaf person to be a stand-in for all blind people and all deaf people.” In fact, a lot of people have never met people who need or use a computer without using a mouse or can’t listen to the video unless it’s captioned. They just never had the experience. Whitney: Does your relationship with the company go on past the settlement? Lainey: Yes. We write the letter. When all works according to how we would like it to work, we have meetings and then there’s language drafting exchange, we have a settlement agreement. That agreement, at the end of the day, looks very much like an agreement as if we had filed the lawsuit. It’s just we skipped all that procedural nuttiness. Then like a litigation settlement agreement, eventually, they do expire but we do continue the relationship. We’re working with very big companies with a lot of digital content and sometimes is backsliding, but we have the relationship there to do a quick correct if something goes wrong afterwards. Whitney: It sounds great. Do you find that solving one problem actually opens the door to their being able to not cause so many problems in the first place? We always have this idea of, “Do the pilot project. That will show them how to do better usability or better accessibility.” Sometimes, we get to see whether that works. Sometimes, we don’t. We recently announced agreements with major pharmacy chains for talking prescription information. What might happen if we do this? There are a lot of unknowns. That’s OK. We can take it slowly. That’s another good thing about this process. We can take the first step. A good example of that is Major League Baseball. We did a deal with them. They’ve been great negotiating partners. We’re representing the blind community, and the focus of the first level of work they did was their website issues, mostly affecting blind people. We did a second agreement with them, extended that first one as a mobile app, became more popular. Now, they have a very good mobile app. Then this year, really directly unrelated to us but I like to think having something to do with us, they have announced a great captioning program, because they just got asked about accessibility and they’re just really doing a great job. Whitney: It sounds like it takes a combination of patience and persistence. What skills or qualities do you need to be successful in this style of working? Lainey: It’s funny you say patience and persistence, because if structured negotiations had a mascot, it would be the stone lions that sit outside the 42nd Street Library in New York, whose names are Patience and Persistence. They were named that during the depression by the mayor who felt those are qualities that New Yorkers should have. I think they’re qualities that negotiators should have. In terms of the patience, a lot of lawyers feel patience is weakness and if you give extra time or you’re not insistent on holding the deadline, somehow, you’re not protecting your clients’ rights. I put an adjective in front of patience and call it active patience for that reason, which really just means you’re not waiting around, tweeting your thumbs, hoping the person will do the right thing, but you’re recognizing that in a large institution, and even in a not-so-large institution, change takes time and there’s a lot of cultural factors that you just can’t come in and say OK overnight, snap your fingers, and usability is going to be a principle of this institution. Active patience is key. Whitney: Your website talks about two other words that I really love. One is grounded optimism, and the other is confidence and trust. Lainey: Grounded optimism, I actually stole it from someone I know named Gil Friend, who’s a sustainable business guy. He wrote a piece on grounded optimism, and I asked him, “Can I take that for structured negotiations?” Basically, that’s the same thing in terms of putting adjective active in front of patience. It’s not being optimistic like, “Oh, everything is rosy. If we just wait long enough, everything is going to work out.” It’s grounded in strategy and that if you take the right steps, you can trust and here’s where trust comes in, one way. That’s going to work out. I believe in negotiations. If you didn’t, it’s not all smooth sailing from the first time we write the letter. Even the companies we have best relationships with didn’t start out, “Oh, thank you so much for writing to us. We’re really glad to have a lawyer on board.” No. If you believe in the process, then you can weather the inevitable downturns that are going to come along. I think the thing we worry about is that they’ll be baby steps today and then they’ll be backsliding. It takes 15 more baby steps to get back to where you were. Lainey: The key is to hold onto the big goal. I was actually talking to my husband about this, because he writes about activism. I was talking about this whole baby step thing and that it’s somehow falling short because another piece that I think has really helped structured negotiations is this idea of appreciation and appreciating the baby steps. Because when we first worked on the talking ATMs with the banks, Bank of America had 15, Citibank had 5, Wells Fargo had 10. We did these press releases. Congratulations. That was out of their whole fleet. Now, every single one of those banks has every single ATM that’s accessible to blind people. I think as long as you hold onto the far goal and don’t quit until you get there, the baby steps is a good strategy. Whitney: You mentioned appreciation. Laura Packer, who is a storyteller and the wife of my co-author — I’m talking about Storytelling for User Experience — talks about appreciations. One of the things that she gets people to do when they’re working on stories is she’ll get one person to tell a story to another. Instead of critiquing it, that person has to give that person telling the story an appreciation of it, what did they like in it, what did it move them to feel. I loved that because it let us turn off that little critic that sits on our shoulder and yaps in our ear and just let us sit back and think, “What’s good here?” Because her point is that a storyteller with a brand new story they’re working on, or anybody with something brand new they’re creating, doesn’t really need someone to critique them. They need someone to tell them what’s working well so they can build on it. Whitney: Dare I ask when the book will be done or you, like the rest of the authors on “I don’t know, I’m working as fast as I can” plan. Lainey: Actually, I’m trying to say I’m staying in the present. Right now, in the present, I’m writing the book. That’s about as far as I can go with that. Whitney: We’ll have to come back to you when it’s further along and see where you are in a future present. I just want to ask you one other thing, which is that when we are thinking about doing advocacy in our own work, just in any other kind of design work, do you have any tips for us that you can think of on how we could apply the principles of structured negotiations to just the day-to-day work of designing a product? Lainey: Sure. Because I think advocacy skills and strategy are pretty much the same in whatever venue they’re being applied to. I think a lot of these traits that we’ve talked about come into play when you’re negotiating with your own side and your own team. I think that, this is one thing writing a book has taught me when I can take the long view and look at all the cases, usually, when people aren’t readily doing something that you want them to do, there’s a reason for that. I like structured negotiations because it allows us to tease out that reason. When you sue somebody, the other side has to defend and say what they’re doing is right. There’s really no chance for a conversation about, “I’d like to do it different, but I’m afraid of this.” I think they would apply in any situation to just try to open up the communication to understand what is the issue that’s blocking us from going further. Whitney: It sounds like we need to understand the motivation on our teams and partners, the stakeholders just as much as we need to understand the motivations for users. Lainey: I think so, because there could be people are thinking, “How many people are really going to use it this way? Do we really have to work?” There are certain things, and if people are willing to express it, then it can be addressed. We had a problem with the ATMs at the beginning, because everybody was counting the precise number of users at each ATM. Where are the users? They didn’t take into account the fact that when ATMs themselves were first introduced in the United States in 1969, the industry had to do a huge amount of work with users to get them comfortable trusting a cash machine with their cash. But there wasn’t that same kind of user hand-holding when they first came online for blind people. Whitney: Yeah, I’m working with a company on their website. It’s a news site. We suddenly realized that it wasn’t just about saying, “Oh, this is accessible,” or “This is usable,” or “This is a better app,” because if you’re already someone that reads news or gets cash or goes to the baseball game, you’ve found a way to do it already. Maybe it’s not a perfect way. We have to actually convince you not just that it’s good enough but that it’s better than what you’ve got — that it’s an improvement and that it will actually be easier for you. It’ll improve your life in some way to try this now-improved website. Lainey: That is so true for the disability community, because people are so used to having to create workarounds. For the talking prescription issues — the things that people do to figure out one rubber band is this prescription and two rubber bands is that — in this day and age there’s just no excuse for that, but people have gotten used to doing it. Whitney: We’re trying to help people give up complicated, old ways of doing things in favor of nicer, newer ways. Lainey: Yeah, it takes education on all sides. Whitney: That is a lovely view for the future, I think, which is the idea that we could actually collaborate instead of just fighting our way through every problem that we come to. I love the idea about learning from how people solve problems that are similar, but in different fields and building on it, because we’re all people. Lainey: Absolutely. I’ve learned so much listening to you, Whitney, in conferences and presentations and how usability works and how the whole field works. I think I’ve tried to bring some of those learnings into our relationships with our clients. When they’re meeting with the companies and trying to encourage the companies about not to think of accessibility off in some corner, but do you already have usability people, and let’s integrate these issues into something we already have. Whitney: Yeah. Boy, that sounds like a better win, doesn’t it? Whitney: I see that we’ve been talking for a while, so I wanted to say thank you so much, Lainey, for joining us. If you folks who are listening are interested in following Lainey’s work or in learning more about structured negotiations, we have links on our website, but you can follow her. She’s @lflegal on Twitter. Her website is lflegal.com. There are wonderful summaries of the settlements that she’s worked on, but also some great descriptions of how she works and what kind of work she does. Thanks to all of you for listening in, and also a special thanks to our sponsors, UIE, Rosenfeld Media, and the Paciello Group for making this series happen. Be sure to follow us at a web for everyone at Twitter. That’s @awebforeveryone — all run together as one word. Thanks so much.